This time of year at our home you will find the TV turned on to the latest football game as the boys in my family try to determine who will make it to the playoffs. It is fun to sit with them and watch the games and the excitement surrounding them. Many times I don’t want to be stuck in the kitchen making dinner while they are all having a good time. At times like these I love having a freezer stocked full of DiGiorno pizza that I can quickly throw in the oven and get back into the frontroom to enjoy time with my family. I have to admit though that I am a bit of a frozen pizza snob and there are only a few frozen pizzas that I enjoy. 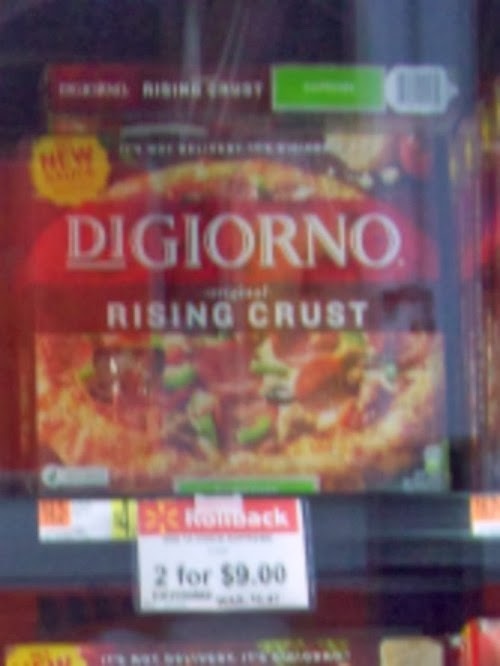 So it was just my luck when I saw that Digiorno is on sale at Walmart – 2 pizzas for $9 – at the rollback price of $4.50 each it was a no brainer to stock up my freezer. Tonight to make the football game we were watching on TV a bit more fun I thought I would make a football themed pizza. This was super quick and easy to make. I started with the Digiorno 4 Cheese pizza. Then I used some pepperoni slices I had in the fridge to make the shape of a football on the pizza. Using some string cheese I made the laces on the football. I cooked up the pizza per the instructions on the box and in no time we were enjoying pizza with our game. Yum! What is your favorite pizza topping? How fun is that?? I am now craving pizza. Oh, ok. 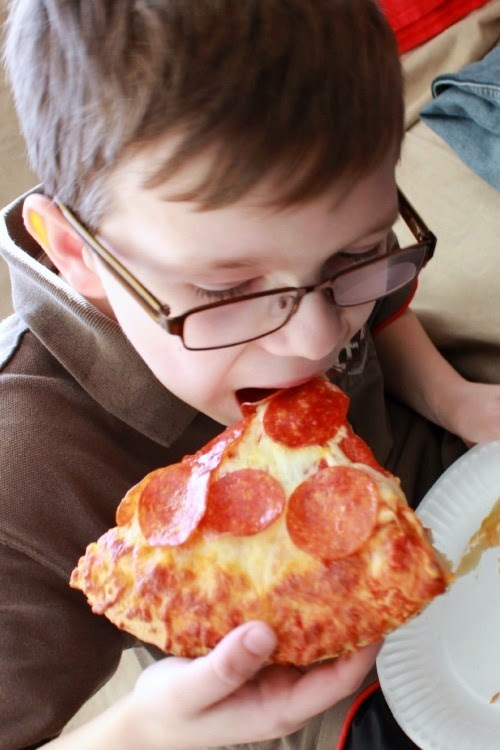 I am ALWAYS craving pizza!! 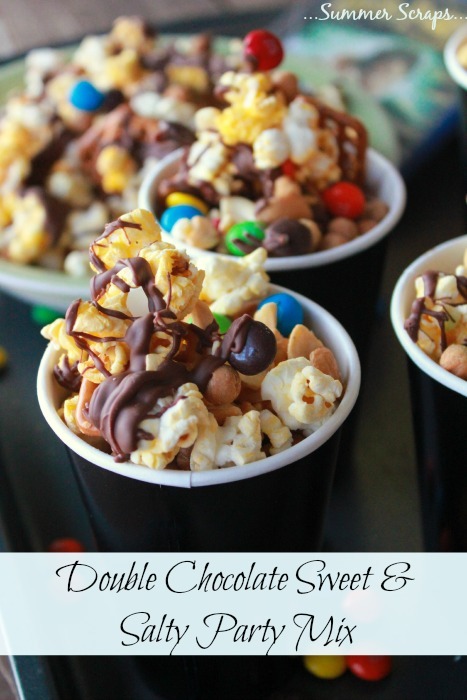 Love this idea for a Superbowl party!! Cute! Love the football pizza idea! 😀 My son would have went wild over that! I, too, enjoyed some DiGiornos tonight! Making it into a football was just too cute! So ADORABLE, Summer!! Loving it. That is TOO cute! 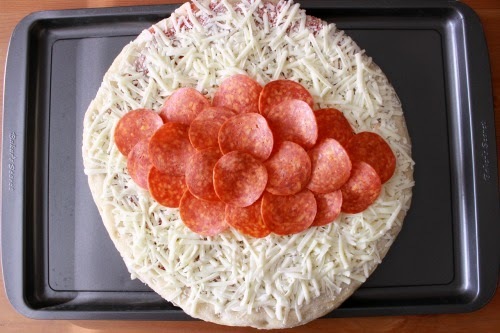 Love that you made a football out of the pepperoni! 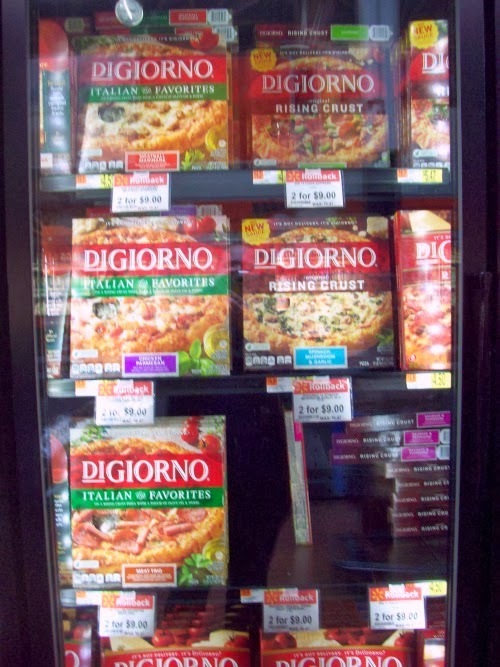 Digiorno for the win– definitely our favorite frozen pizza! 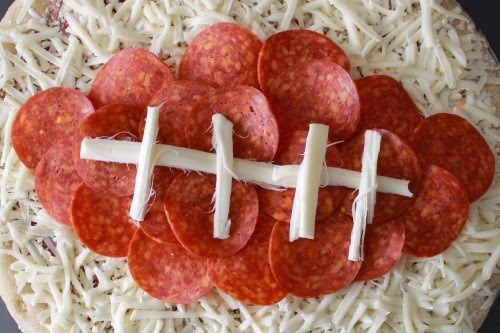 What a fun idea to make the pepperoni a football…I never thought of that! 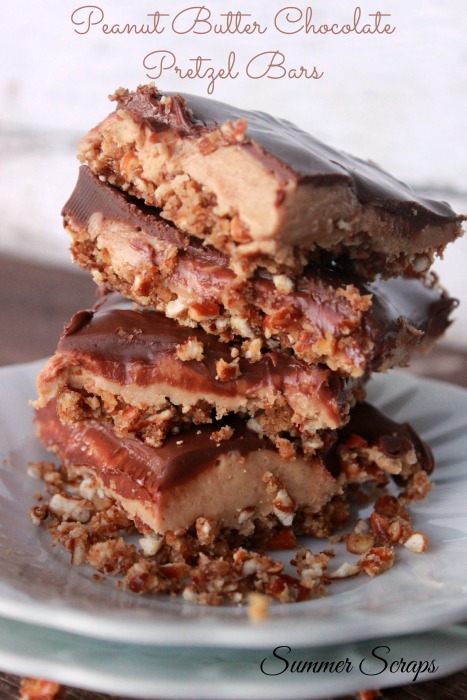 A perfect game day snack! that’s a great idea to put on a pizza for the superbowl! 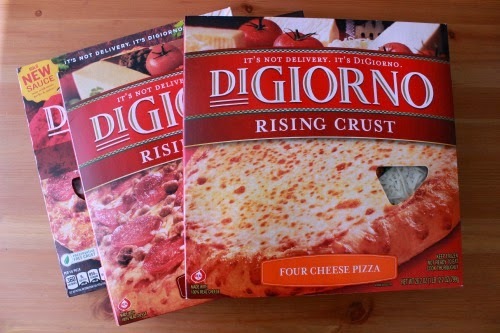 I see on coupons.com today, you can buy 2 pizzas (digiorno) get 1 free. I wonder if that 2 for $9 sale is still going on. I will have to check that out! This is too cool!! I Love it!! Love it! What a great way to dress up a pizza for a big game. I am featuring your post as the Dare to Share Feature of the Day. 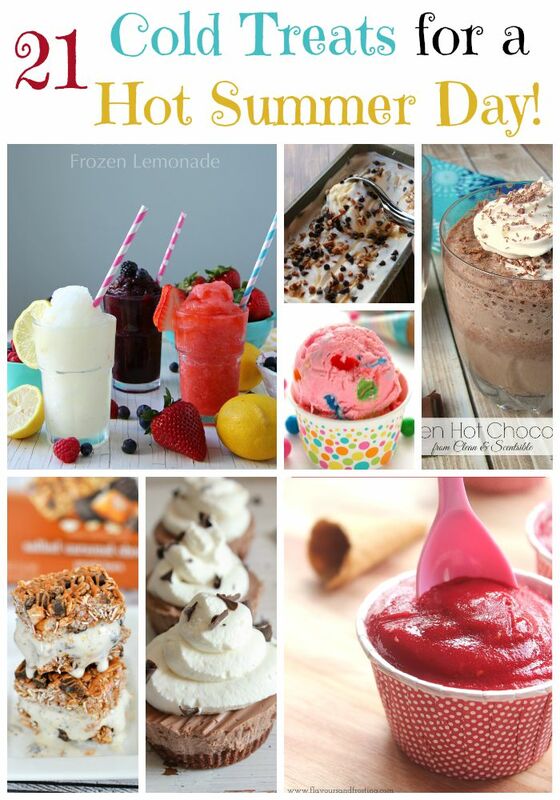 Thanks so much for linking up Summer! Thanks so much Pam – I am off to check it out! What a fun food idea! Thanks for linking up at Moonlight and Mason Jars!